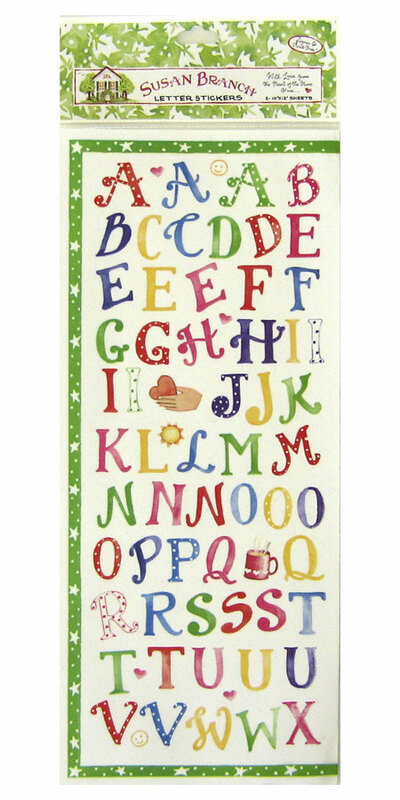 Get lots of letters, large and small in cheerful watercolors for your basic supplies. Package of three 10" x 12" sheets with upper and lower Case letters, punctuation marks, numbers, star border, a few little phrases in black print plus a bit of my art. Six very useful sheets to have on hand!